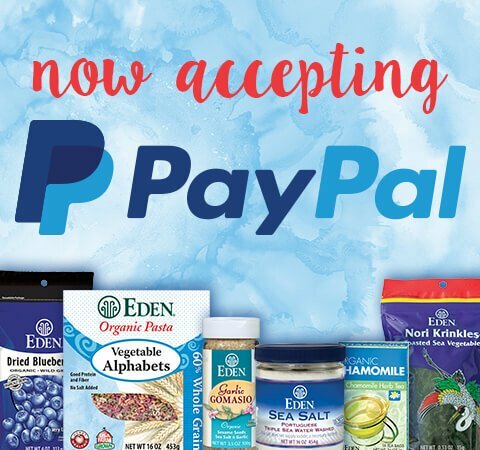 Snacks can provide needed energy and pleasure to keep us running at a steady pace, and can also help us to avoid overeating. 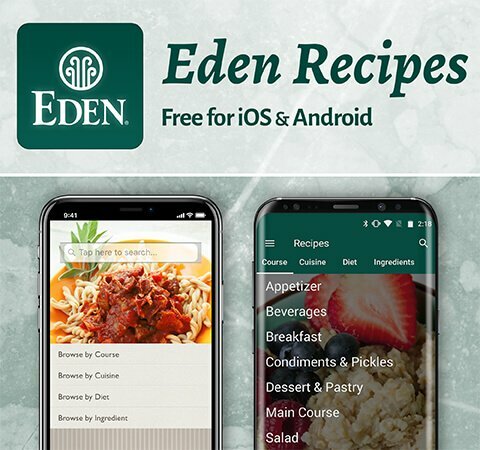 EDEN Pocket Snacks go easily to school, work, on errands, camping, and trekking. 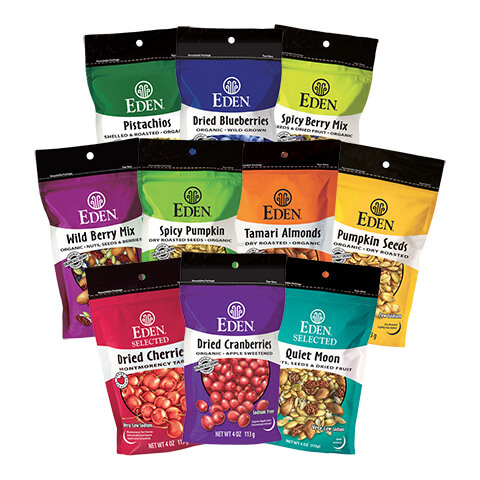 Snacks such as EDEN dried blueberries, Montmorency tart cherries, cranberries, pumpkin seeds, sunflower seeds, almonds, pistachios, mixes and organic popcorn provide rich flavor, pleasing texture, and varied nutrients in the form of organic acids, antioxidants, and phytonutrients that we may not get otherwise. Sulfite free. Very low sodium. 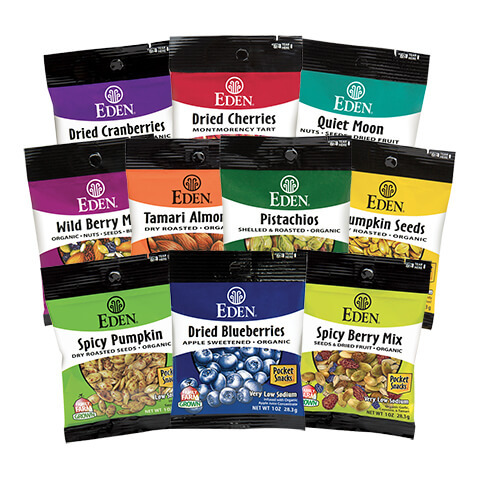 Popular EDEN Snacks in 1 pound bulk sizes that are priced at a discount. 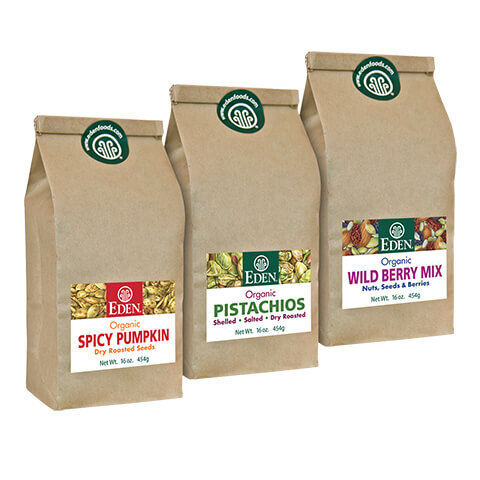 All ten varieties of dried fruit, seeds, nuts, and mixes are available exclusively online and at the EDEN Store in Clinton, Michigan. 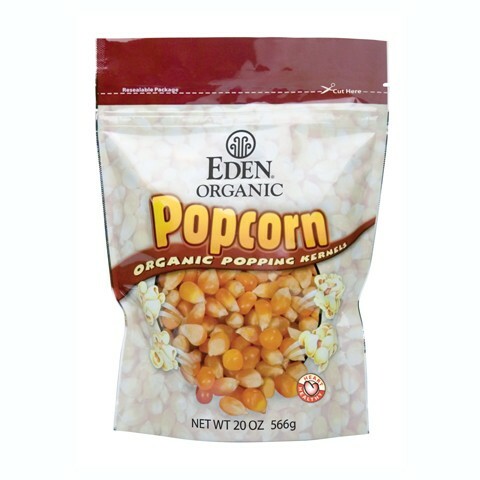 Nebraska family farm organically grown EDEN yellow popcorn is a superior popping variety that makes large, fluffy popped kernels. Exceptional taste. Popcorn is America's favorite snack with 70% enjoyed at home. 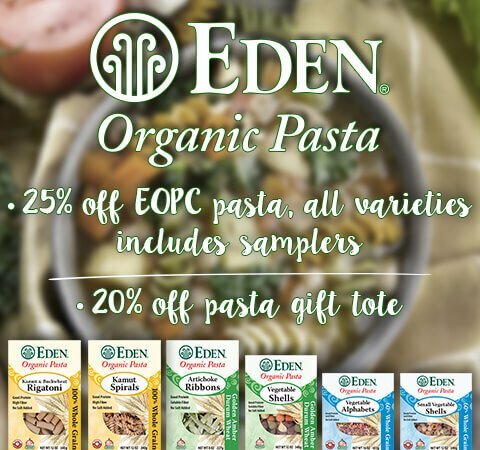 A 100% whole grain alternative to high fat, high sodium snacks.